Do stay tuned, though, for future video tutorials on how to blog. The tutorials will be in Taglish (Tagalog + English). 1. What you wrote in the past will help people for many months. Nothing you write is wasted. 2. Each blog post becomes your 24-hour online salesperson. 3. People will get to know you when they search for your name in Google. 4. It’s a great opportunity for you to give first, before taking. 5. 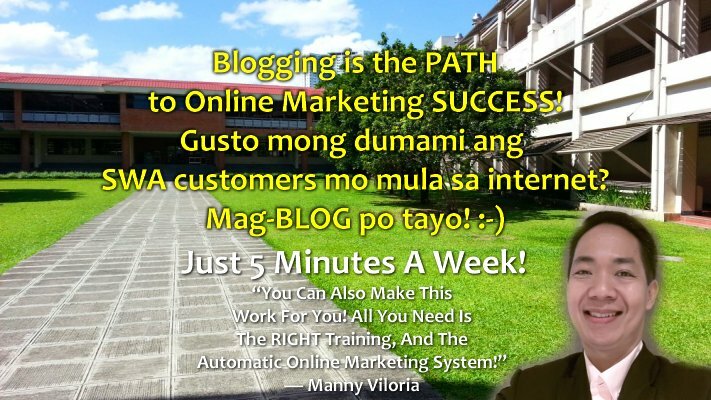 Blogging helps you serve others, and helps develop an Abundance Mindset in you.